It had taken most of the day, but we were almost there. After a three-and-a-half hour flight from the Chilean capital, Santiago, to the southern town of Punta Arenas, we continued our journey by car. We had already been driving for three-and-a-half hours; only one more hour to go and we would finally arrive at Explora Patagonia, the luxury lodge located in the magnificent Torres del Paine National Park. That was the plan, anyway. What we hadn't reckoned with was the car breaking down. Even if you manage to avoid mechanical issues, getting to Explora Patagonia can be a challenge. However, that is part of the property's appeal. Indeed, Explora is a company that has built a successful business out of introducing its guests to out-of-the-way locations, including Chile's Atacama Desert and Easter Island. It is just one of a number of high-end hotels operating in increasingly remote destinations. They are catering to travellers searching for a new type of luxury: one that focuses less on high thread count sheets and more on taking the road less travelled. "Remote destinations offer pristine environments, authentic tribes and rare species," says Sarah Hoyland of the Classic Safari Company, which represents a range of far-flung five-star properties in countries as diverse as Tanzania and India. "It may be a schlepp to get there and it may be pricey, but ultimately the reward is well worth it." Pick any far-flung corner of the world, from the plains of Africa to the glacier-studded Alaskan fjords, from remote Himalayan kingdoms to Central American jungles, and chances are that you will find a luxury lodge open for business. What is surprising is not just how many of these isolated properties exist, but how many creature comforts they make available to their guests. 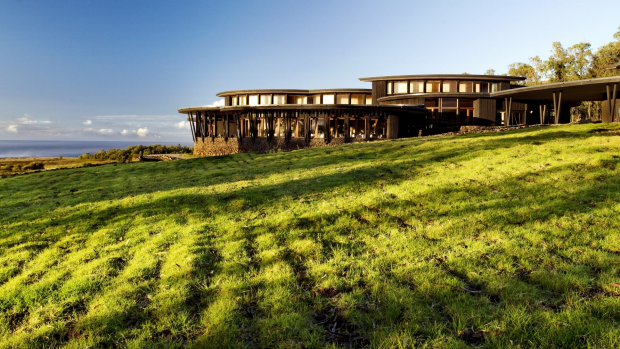 Explora Patagonia, for instance, offers not just gourmet meals and a roster of more than 40 "explorations", including hiking and horse riding, but also hot tubs with a view. Other lodges offer yoga classes and spa treatments. Delivering a luxury experience in an under-the-radar destination requires formidable logistical skills. 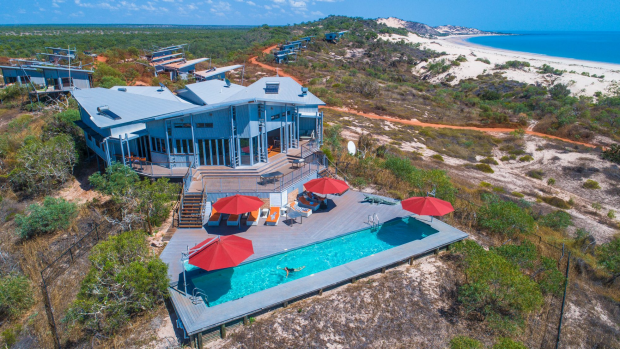 Take Berkeley River Lodge, a remote camp on north-west Australia's Kimberley coast that operates on a fly-in only basis. Even something as simple as making sure that guests can enjoy their favourite breakfast requires precise planning. "We nearly ran out of eggs the other day," says lodge manager Kate Goodchild, explaining that the majority of supplies are brought in regularly by barge. "The tides can be tricky here, and the barge was five or six days late. That is not that unusual." Leaving a margin for error is standard practice but, even so, things sometimes go wrong. That is when a certain degree of creativity is required. "There may be an issue with the freight; say we have received some fish in shocking condition. If we have guests going fishing, I'm never afraid to tell them that they responsible for catching that night's entree," Goodchild says. Unlike most luxury properties, these lodges sometimes require a sense of adventure. Getting there can be an experience; at one lodge tucked into the Central American jungle, guests arrive by rafting down a river. If, however, the idea of spectacular surroundings, superior service, and a one-of-a-kind experience appeals, then give one of these boundary-pushing lodges a try. WHERE Fly to Gander Airport on the Newfoundland coast (flights via Halifax or St John's), then drive 60 minutes to the Fogo Island ferry. The boat ride to the island takes 45 minutes. WHY This is Canada at its most rugged: a jagged landscape lashed by wild oceans, where ancient icebergs drift past. For centuries, the local fishing communities lived isolated and hardscrabble lives; the island didn't even have electricity until the 1970s. 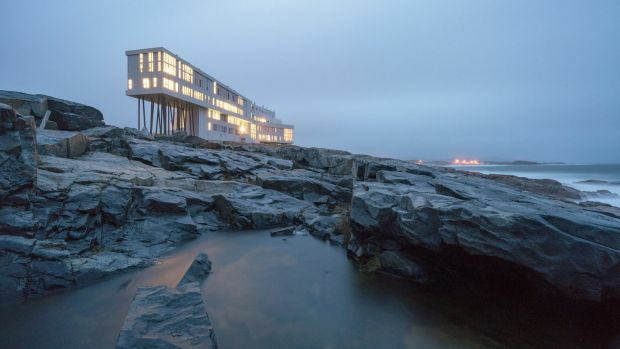 Fogo Island Inn may have brought contemporary luxury to the area but it also celebrates a sense of place, with furniture made by local boat builders and chandeliers that hang from old fishing ropes. A stay here is all about soaking up the landscape and the lifestyle: the welcome from local villagers is genuinely warm. Build up your appetite with hikes and excursions; the hotel's food, much of which is locally foraged, is sensational. LUXE FACTOR Taking in a sunset from the rooftop hot tub. WHERE There are no roads to Pacuare Lodge. Start your trip from the Costa Rican capital of San Jose with a three-hour drive to the Pacuare River. From here, the trip continues by water: a six-kilometre rafting trip that takes you straight to the camp. WHY Set amid 10,000 hectares of protected rainforest on Costa Rica's Atlantic coast, Pacuare Lodge is the ultimate jungle hideaway. Guests in the electricity-free lodge sleep in thatched-roof bungalows and dine by candlelight. Here it is all about exploring: from ziplining through the canopy to rock climbing and kayaking the river. If that sounds too extreme, take a hike through the jungle, keeping watch for monkeys and sloths. 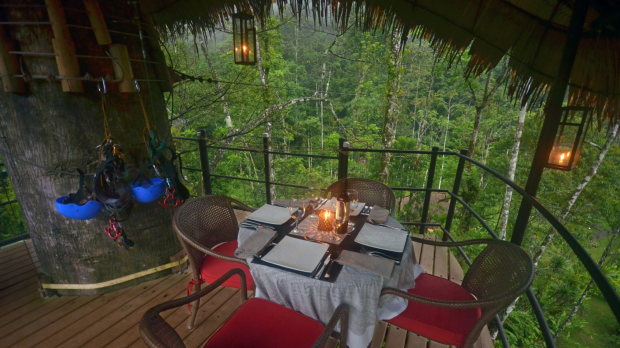 LUXE FACTOR Book yourself in for lunch amid the treetops at The Nest, a dining canopy located 20 metres above the ground in the jungle canopy. Truly a meal to remember. WHERE There is no such thing as a quick trip in Bhutan. The winding roads of this Himalayan kingdom mean that every journey happens in the slow lane. But the high-altitude valley of Gangtey, a three-and-a-half-hour drive from the nearest city – and five hours from the capital, Thimphu – is remote even by Bhutanese standards. 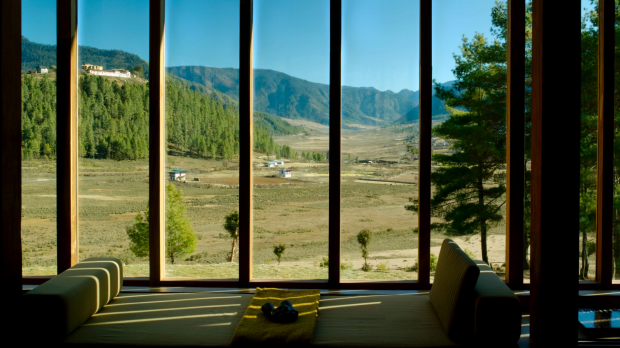 WHY One of Aman Resorts' five luxurious Bhutan lodges, Amankora Gangtey is located in one of Bhutan's loveliest national parks. With just eight suites, this intimate lodge is a comfortable base for exploring a range of natural and cultural activities. A hike to see the rare black-neck cranes that migrate to the valley each winter is one highlight; so is the chance to attend evening prayers at a nearby monastery. Spend an afternoon flying one of the local kites, or sign up for a traditional candlelit dinner accompanied by folk music. LUXE FACTOR A traditional hot stone herbal bath, savoured in a shed with 180-degree valley views, is the ultimate indulgence. WHERE Tucked into north-western Namibia near the Angolan border, Serra Cafema camp is reached by a two-leg flight from Windhoek, which takes about three hours to cover 800 kilometres. The camp is a 60-minute drive from the landing strip. WHY Namibia is full of breathtaking landscapes, but this far-flung corner of the country offers some of the most striking. Set on high plains topped with achingly-blue skies, this recently-refurbished camp has just eight villas, which gives guests plenty of room to spread out. Spend the day exploring on a quad bike, keeping your eyes peeled for gemsbok and zebra. 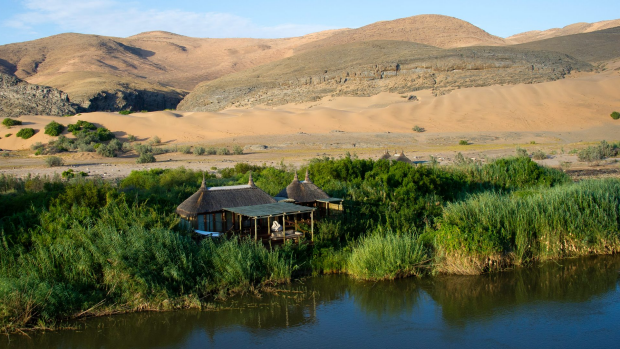 LUXE FACTOR This area is home to one of Africa's last nomadic tribes, the Himba. Spending a morning with them gives guests an insight into a disappearing lifestyle. WHERE To get to Rapa Nui, as the locals call Easter Island, first fly all the way to Santiago, Chile, then fly six hours back in the direction you came. The lodge lies eight kilometres outside the main town, Hanga Roa. WHY There is a surprising amount to do on this tiny island. Exploring the famous moai statues is of course a highlight: there are almost 900 of them scattered across the island, some arranged in imposing rows as at Ahu Tongariki, others lying fallen or only partly carved at the island's massive quarry. However, there are plenty of other surprises to discover, from the lovely white sands of Anakena beach to the stunning crater lake of Rano Kau. LUXE FACTOR The perfect way to end a day of exploring? A gourmet meal of ocean-fresh seafood washed down with fine Chilean wine. ESSENTIAL From $US2226 per person twin share for three nights, including full board, activities and transfers. See explora.com; nomade.com.au. 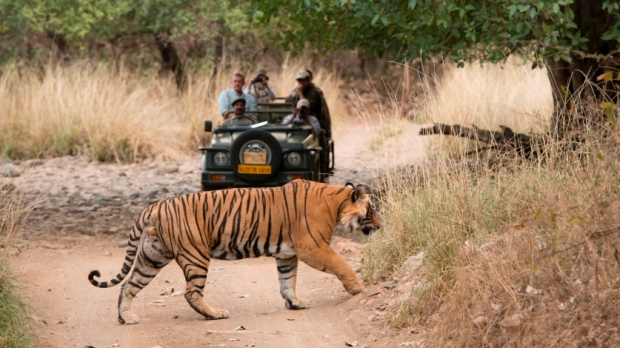 WHERE The camp is located on the edge of Ranthambhore National Park, a four-hour drive away from Jaipur airport. WHY Sher Bagh offers a classic safari experience, complete with old-school personal service and its 12 hand-stitched tents decked out with period furnishings. (Not everything is retro, however; each tent has a spacious en suite bathroom.) The big attraction here is India's best tiger spotting, with daily game drives into the dry thorn forest where tigers make their home along with other wildlife including antelope, jackals, mongoose and a wide range of bird life. Other activities include visits to Mughal ruins, cooking classes and massages. LUXE FACTOR Dinner by the campfire is a magical experience, with starry skies overhead and the camp bathed in the soft light of lanterns hanging from trees. 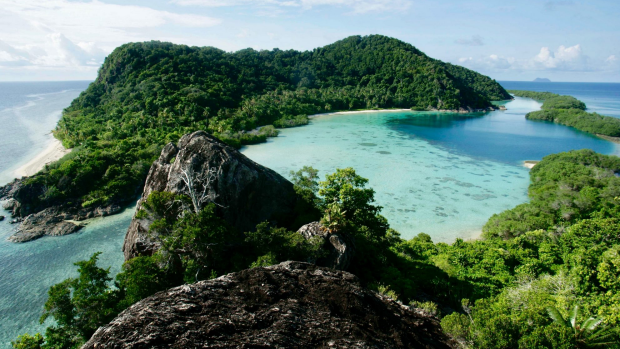 WHERE This private island sits between the west coast of Borneo and the Malaysian peninsula. From Singapore, it is a 30-minute drive to the ferry, then a 30-minute ferry ride to Batam, where you cross the border into Indonesia. From there, it is an 80-minute sea plane flight. 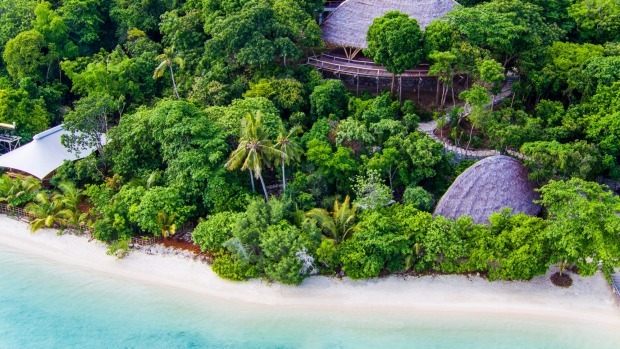 WHY Take your Robinson Cruise fantasies, add a healthy dose of indulgence, and you have Bawah Island. With 13 beaches and three lagoons filled with coral reefs, tropical islands don't come more picture-perfect than this, and with just 35 suites, you can always find your own patch of sand. The suites are made of sustainable materials including bamboo and driftwood, and the resort is powered by renewable energy. Spend your days paddle boarding, kayaking, sailing and hiking; take yoga or meditation classes, or treat yourself to a pampering spa treatments. LUXE FACTOR The island has no TVs, but an evening in the open-air cinema makes a memorable alternative. WHERE A three-hour flight from Arusha takes you to a bush strip, from where you transfer to a boat for the 90-minute trip to the camp. WHY Even by African standards, this is a seriously wild experience. The camp consists of just six two-storey huts, each of which is open-fronted (with an optional canvas curtain for those who find that a little challenging). As there are no roads within 60 kilometres, all explorations take place on foot. The big attraction here is the population of wild chimpanzees, about 1000 of them. Mornings are spent tracking the chimps; when you find a troop of them, you may spend up to an hour watching them feed, play and groom each other. In the afternoon, hike to a waterfall or sail on the lake. LUXE FACTOR If there is a more peaceful way to start the day than with a dawn paddle on the lake – complete with a steaming cup of coffee – we haven't found it. WHERE There are no roads to Ultima Thule, located in the Wrangell-St Elias National Park. Instead, take a charter flight – allow about two hours – from Anchorage to the village of McCarthy, from where you take a 25-minute flight to Ultima Thule. 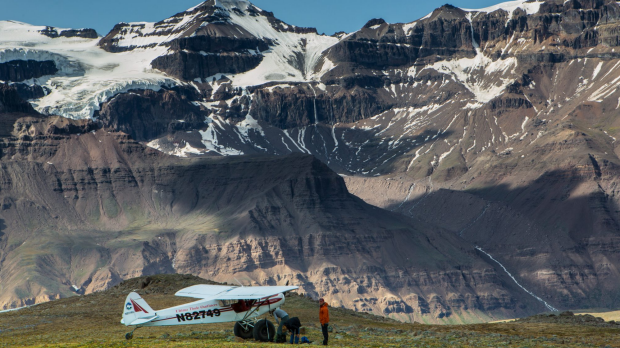 WHY At Ultima Thule, it is all about flight-seeing, not sightseeing, with most daily activities starting with a trip in a bush plane. From there, you might go hiking on a glacier, kayaking through a salmon-rich river, visiting old gold mining sites or photographing bears. Each night you will return to the camp, where you sleep in just one of five cosy log cabins. LUXE FACTOR/MUST DO At the end of another day of adventures, relax your body and mind in the wood-fired sauna. 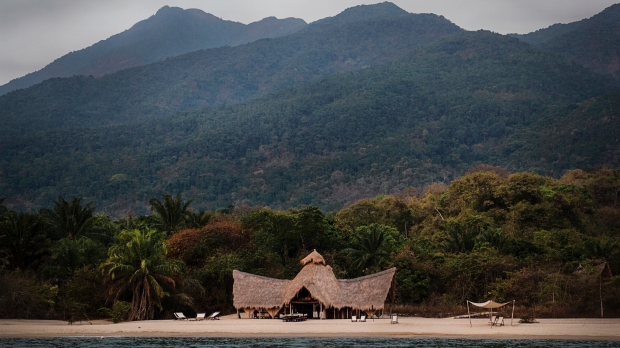 WHERE It is a three-hour flight from Johannesburg to the island of Nosy Be off Madagascar's northern coast. From here, a 30-minute helicopter transfer will take you the 170 kilometres to Miavana. 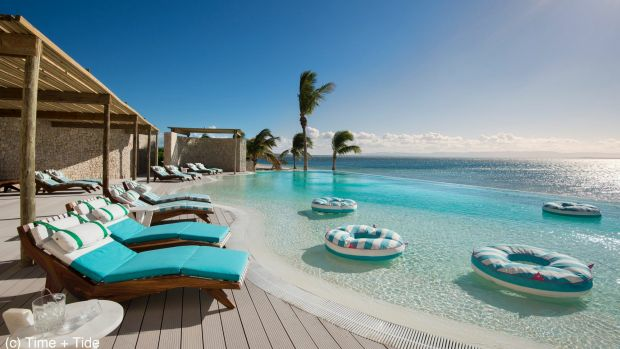 WHY At first glance, this eco-friendly resort – powered by solar energy and built using recycled materials and local Malagasy stone – seems made for cocooning. With just 14 villas, each of which comes with a butler service and private pool and kitchen, you might need some serious tempting to head out exploring. However, the marine park that surrounds the private island has plenty of treasures to lure you into getting out and active, from coral reefs to migrating whales, not to mention turtles that come ashore to lay their eggs. LUXE FACTOR Madagascar is known for its unique wildlife; take a heli-safari to one of the country's magnificent national parks to encounter local animals such as the photogenic lemurs. Looking for a spot to drop off the radar? You don't need to leave Australia to feel that you have reached the ends of the earth. Sometimes the best way to explore is aboard a cruise ship. If you have a yearning to visit far-flung ports, try one of these expedition-style cruises.